Now, I started off by making my own Shake and Bake, which is incredibly easy and pairs well with this meal. 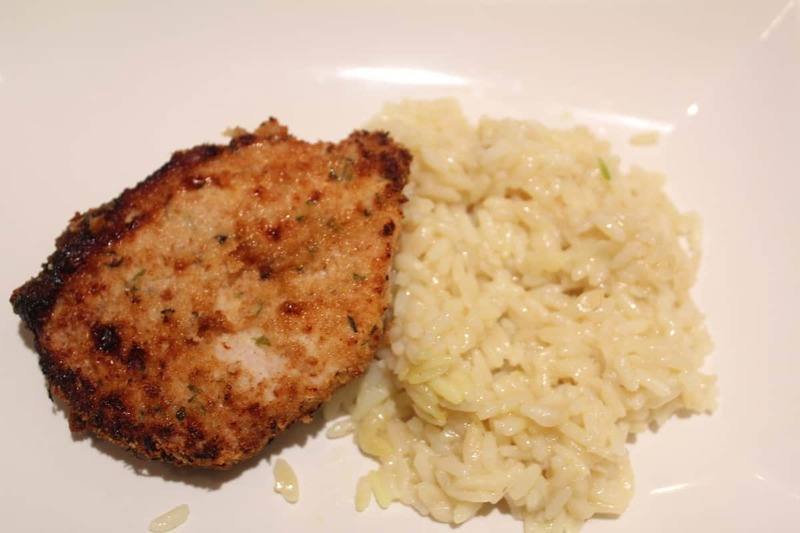 So, if you have 3 minutes, and want a great and easy meal. I would recommend making that too. There is nothing more American than a meal of Pork Chops and Applesauce, I and many, many of you grew up with the same weekly dinner. 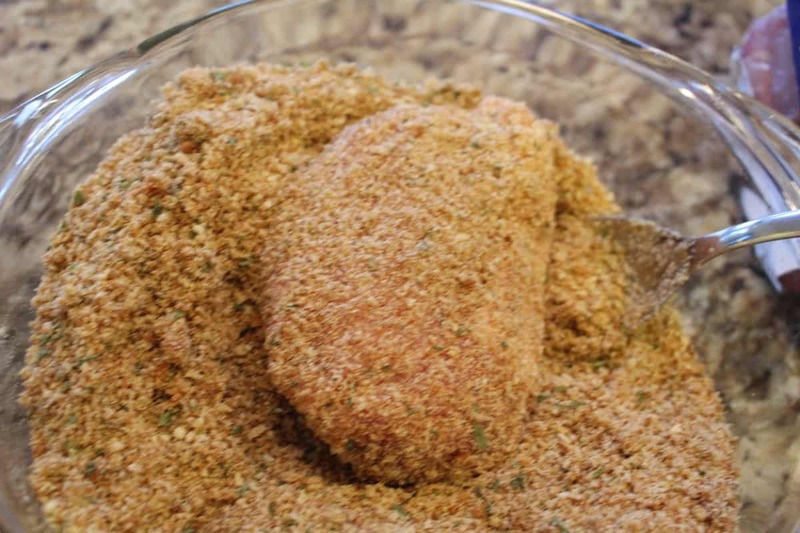 It is still one of my favorite ways to prepare pork chops, and if you haven’t checked out my recipe for Shake and Bake Pork Chops, it is found here. Let us talk about pork chops, because the meat used in the recipes for “pork chops,” are not all the same. 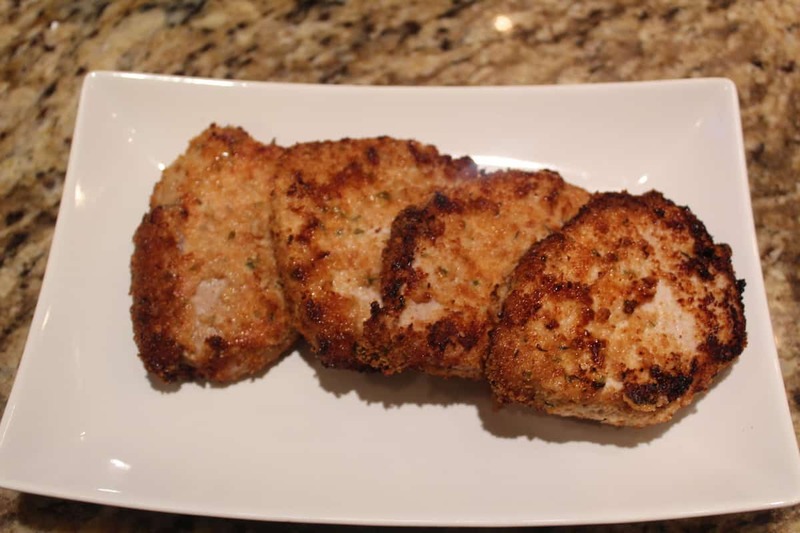 Shoulder Chops: Also known as pork steaks, they are a tougher piece of meat, the meat in shoulder chops are found high in the shoulder and contains a large bone. Rib Chops: This is the meat that we typically consider “pork chops”there is a large bone on the top of the meat, and it has a thin layer of fat, which makes them cook up tender and juicy. Boneless Pork Chops: As the name says they do not have a bone, the bones have been removed, and as such, it is usually a tougher and dried meat. 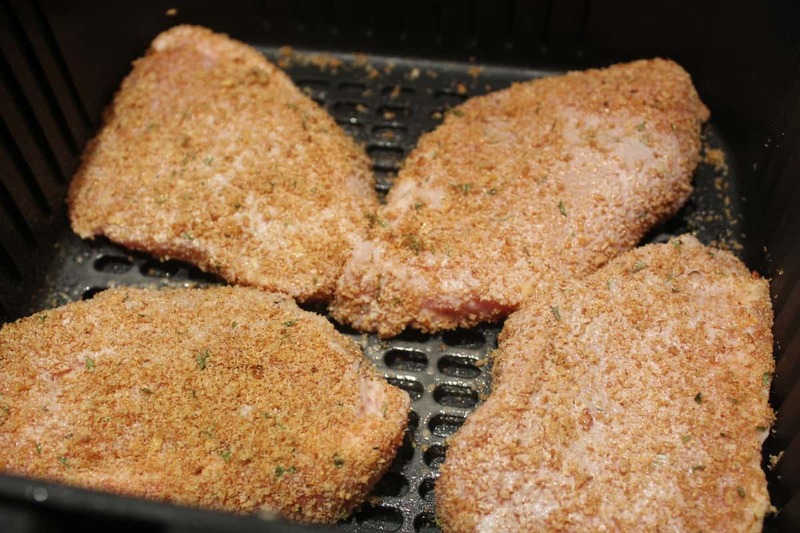 This meat does do better if it is soaked in a liquid base, which adds more flavor. Sirloin Chops: There is a large bone in the center of the chop, as such it is filled with flavor. It also does better if it is slow cooked. 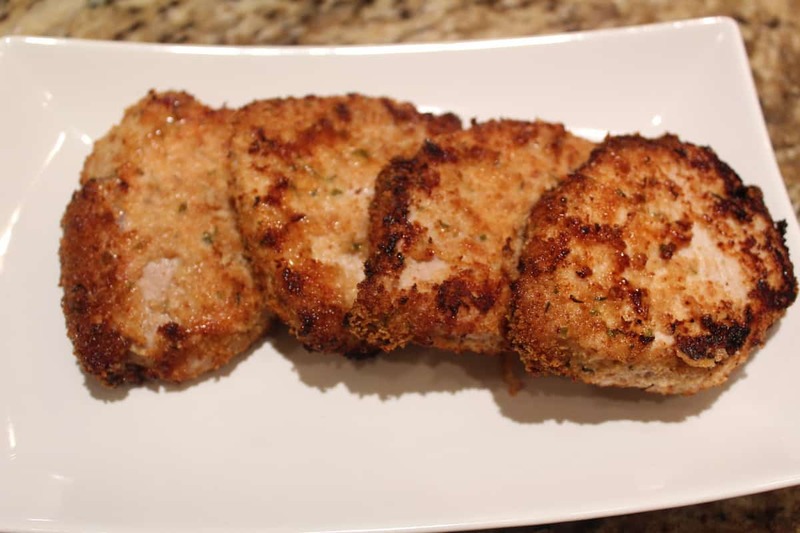 Loin Chops: These come from the center of the pig and are lean and filled with flavor. 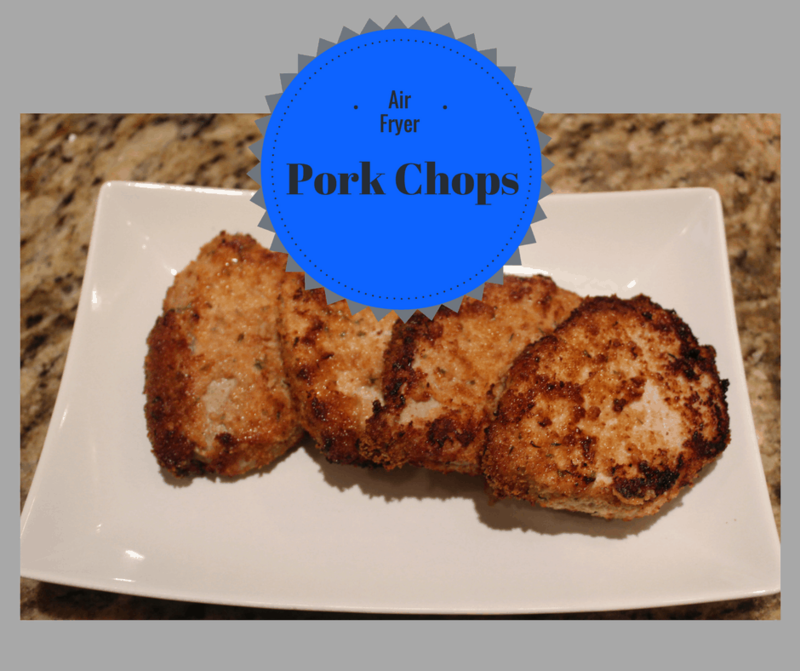 Thicker pork chops are better for the air fryer, as they tend not to get dried out. It is dangerous to eat pork that is not cooked all the way through, so grab your meat thermometer and look for a temperature (internal) of 145 degrees F.
As previously stated (above) bone-in pork chops have more flavor, than boneless pork chops. Use seasoning (salt and pepper) generously. Use the fat (keep it on until after you cook it) to help keep the meat juicy and flavorful, during cooking. Just trim it afterward. Let the meat rest after air frying, for about 10 minutes, as it lets the juice flow into the middle of the meat, it will result in a more flavorful pork chop. If you haven’t been following our Air Fryer Adventures, head over to Inspiring NH Kids and follow us. I post a lot of Air Fryer Recipes. You can also follow us on Pinterest. 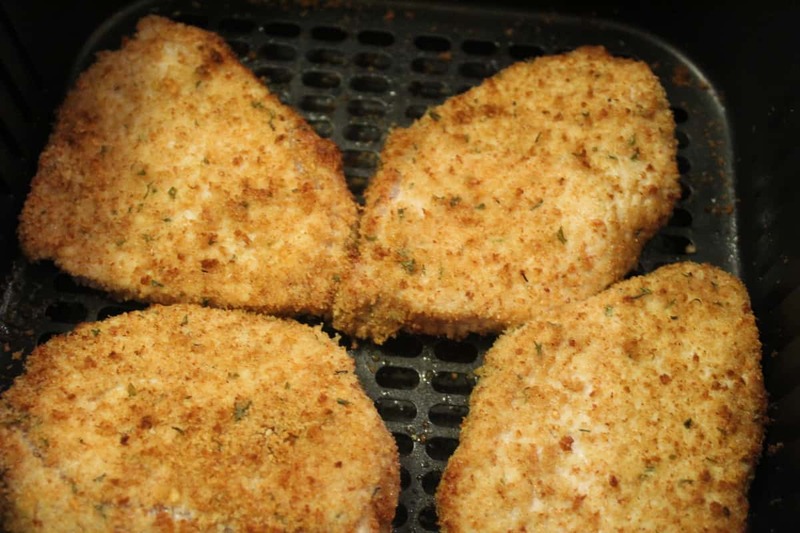 Place the coated pork chops into your Air Fryer Basket, I sprayed mine with non-stick cooking spray. Try Pork shoulder steaks, they have more fat but much more juicier and more flavour.